STRATPOL Summer University is tailored for young professionals (age 20-30) within the field of international relations, political science, security studies and other primarily from V4, Ukraine, and the Balkans. 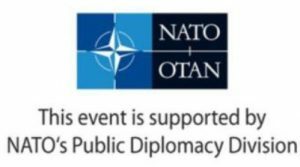 The event is designed as a high-profile interactive course consisting of study visits, lectures, workshops, and discussions led by international experts with a proven background in decision-making, diplomacy, academia, NGOs, and media. Our Summer University has a 10-year tradition. In that time, it became a household name in Central European context. In the past editions, more than 300 young professionals have joined us for insightful lectures, enriching debates and informal discussions in the beautiful environment of the Tatra mountains.